She has given each of us our own MOOCH handcrafted paper pen made out of Indian khaki paper and a bookmark printed with a quote. I’d like it noted that this is the first time we’re meeting Lekha Shah. 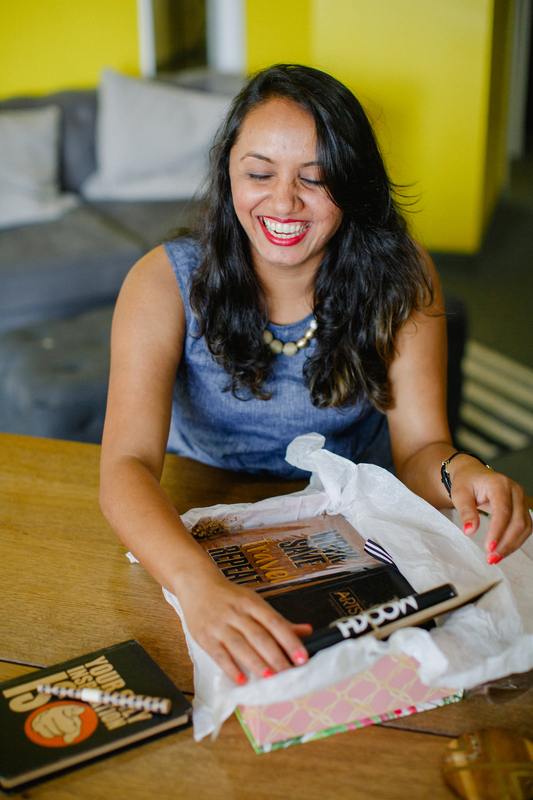 The fact she came bearing gifts – literally – is really, truly the best way to describe her. That on top of the fact she started thanking us for this opportunity almost before we even started. It was all sweet, kind, generous, and authentically sincere. That’s exactly how I would describe her. And that’s exactly how I would describe the business she’s building. Shah’s company is The Artsy Box. It’s a unique, online store built with fun, artistic, and elegant pieces; Shah herself curates themed boxes that are well-matched combinations of high-quality products. The business is a product of her well-trained artistic eye and also her personal journey. After marrying her husband in 2014, Shah moved to the United States from India. 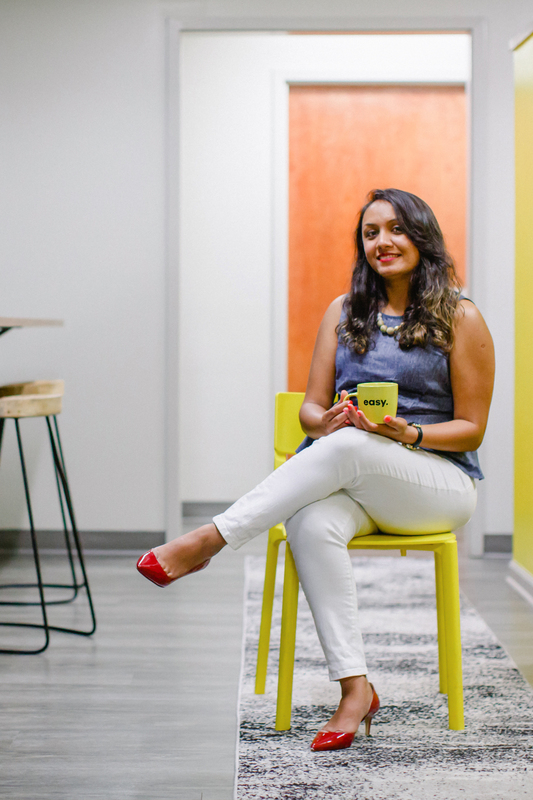 As she waited the mandatory two years for a work permit, Shah took on opportunities to volunteer and offer her support and creativity she refined while working in the interior design business in India. 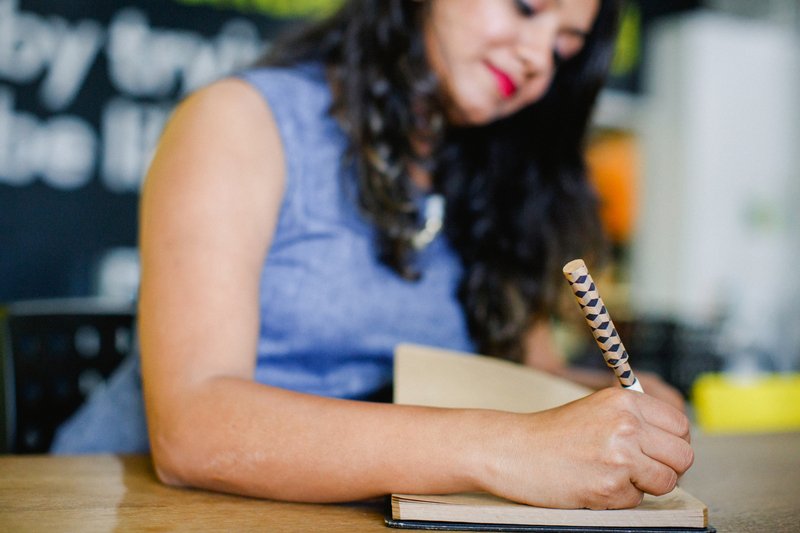 For Shah, this time wasn’t about her building her career as much as it was about learning. Shah received her permit to work and started working as a freelance graphic designer. But, something was missing – her heart was craving interior design. But, the path to get there was unclear. Then, in April 2017, Shah’s life changed forever. She lost her mother. Always an artist known for her creativity, Shah knew she needed and wanted to process the grief in a different way. “I came through it all with this total appreciation for so many things you should be grateful for,” she says with a deliberate sense of peace and calm. She takes a deep breath before she says the next sentence. “I learned – just be grateful – no matter what,” she says. In the throes of a grateful and resilient personal comeback, Shah made a simple gift that would change her story. She designed a curated box for her husband as a holiday present, bringing together several special and unique items as one gift. Then, she made a similar one for a friend. Eventually, she was designing curated boxes with different themes and purposes – all for different customers who wanted to give something memorable and unique. It was not only a special gift, but also a unique and creative opportunity for Shah to get back to designing space – just a different kind of space. A space filled with beautiful, artistic products. It was a return to interior design – with Shah’s special touch of gratitude. Today, Shah is in the process of bringing The Artsy Box to market. Though, with that said, she’s already curating products and partnering with vendors in the U.S. and India. She’s also already selling curated boxes to customers. 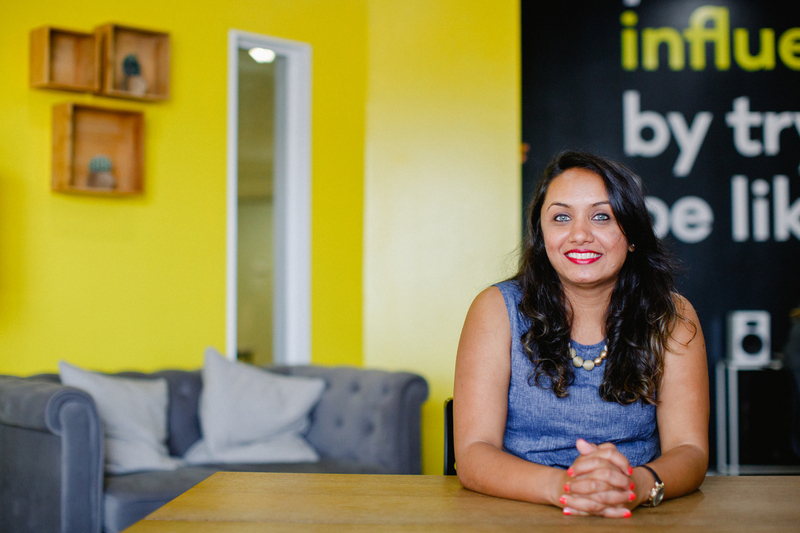 As intimidating, scary or risky as starting a business can be, Shah isn’t afraid to put herself out there. She knows that both professionally – and personally. She and her husband dated for months via Skype. He was living here in Charlotte. She was in India. They didn’t meet face-to-face until three days before the wedding. “Talk about a big risk, huh?” She says with a laugh. Yes, she’s sweet, grateful, and sincere; and she’s powerful, bold, and confident. As we close the interview, I take another look at the gift; I read the quote on the bookmark she has given to me. “The best time for new beginnings is now,” it reads. No one knows that better than Shah.